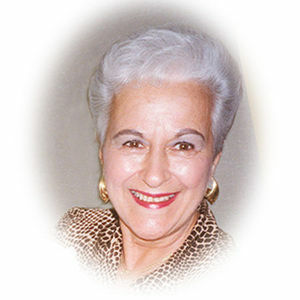 Helen Kahan, 74, of South Windsor, beloved wife of 38 years of the late Attorney Robert F. Kahan died peacefully on Sunday (May 21, 2006). Cancer took her life, but not her spirit. Born in Hartford on October 31, 1931, daughter of the late Joseph and Lena Orsino, she resided in Vernon for 40 years and was the owner of Cartwheel Dress Shop in Vernon for 20 of them. She and her loving husband Robert enjoyed winters in Boca Raton, FL. and entertaining family and friends. She leaves behind her beloved daughter, Kimberly Kahan, son-in-law James O'Neill, and grandson Tyler O'Neill, all of South Windsor. She is survived by her sister Yolanda Sullivan; a brother, John Orsino and many nieces and nephews. She was predeceased by brothers, Paul Orsino and Joseph Orsino. Her unselfishness and vibrant spirit were an inspiration to all. A special thanks to friends Anne Marie, Maria and Susan for their loving help. Family and friends may gather, Wednesday, at a time to be announced at the Samsel & Carmon Funeral Home, 419 Buckland Road, South Windsor, followed by a Mass of Christian Burial, in St. Patrick - St. Anthony Church, Hartford. Burial will follow at Rose Hill Memorial Park, Rocky Hill. Her family will receive friends, Tuesday from 5-8 p.m., at the Samsel & Carmon Funeral Home. In lieu of flowers, memorial donations may be made to VNA Hospice, 8 Keynote Dr. Vernon, CT 06066 or to Fidelco, P.O. 142, Bloomfield, CT 06002.